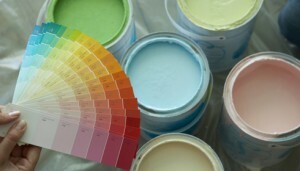 Color is one of the most basic building blocks when it comes to interior design. Unfortunately, I find that many of my clients are almost scared of color, wanting to stick to things that they know like white, beige and taupe. There is a psychology to color and its effect on mood. No color has been scientifically proven to have a long term effect that is the same for all humans, so there are no definitive right and wrong colors. 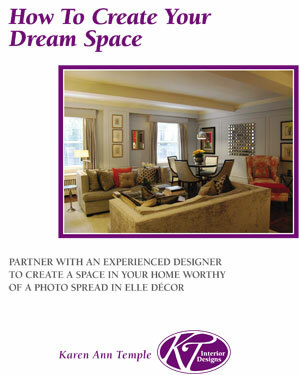 However, in general terms, the following general guidelines for color apply in interior design. Saturated colors such as yellow, orange and red tend to raise our energy levels while colors from the ‘cool’ section of the color wheel such as blue and green tend to calm us down. However, less saturated shades/tints are gentler on the nerves. A muted brick red has a different affect than a fire engine red. Dark colors tend to make a room seem smaller, no matter what section of the color wheel they are from. Lighter tones of blue and green are known as ‘receding’ colors as they make a room seem larger. While there are general rules of color, it is each individual’s experience with color that ultimately decides how they respond. 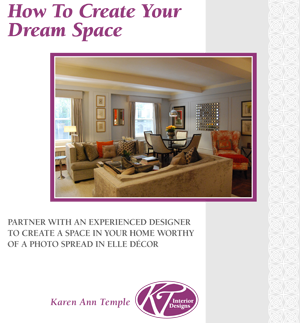 I like to work with my clients to determine what colors they gravitate toward and why – I can then guide them into the correct color choices for their personal experience and for the use of the room. Color is a necessary ingredient for turning a house into a home. Don’t be afraid to use it to its fullest capacity!